Located within a popular and growing part of Northwest San Antonio, Kallison Ranch Perry Homes offers homeowners an abundance of convenience. The neighborhood is located very close to Loop 1604 and Highway 211. Just a short drive from shopping, dining and entertainment options, residents in this community have no shortage of diversion options. Students attend Northside ISD schools. Elementary school aged children attend the on-site Henderson Elementary School, while middle school students attend Folks Middle School. High school students attend the newly built, Harlan High School. Residents also enjoy on-site amenities including a pool with splash area and picnic areas with a pavilion. 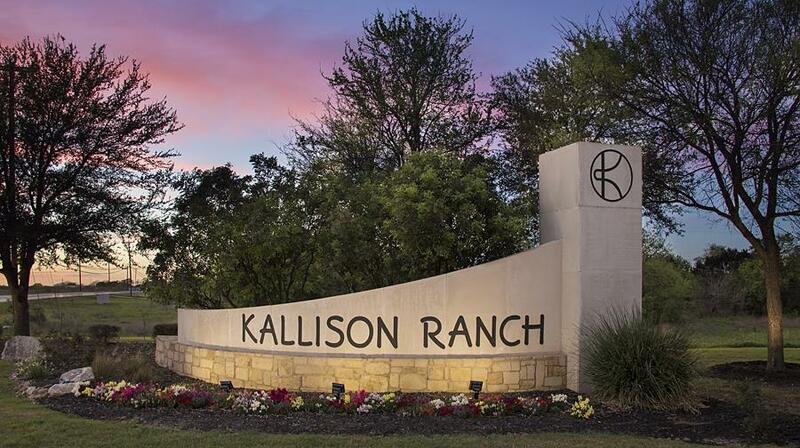 The perfect balance of tranquility and convenience is what you will find in Kallison Ranch. 1,800 – 3,500 Sq. Ft.
2,500 – 4,100 Sq. Ft.
For more information about this community or if you are interested in a showing, please contact us here or call (210) 835-8508. We are available to help you if you are ready to begin looking for your dream home. Finding your perfect home shouldn’t be hassle, rather a journey, so let’s get started today.